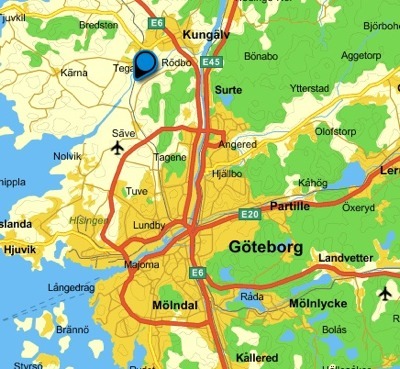 The area is located on the island Hisingen NW of Gothenburg at Askekärrsvägen. 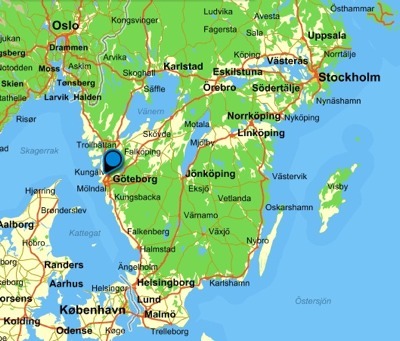 The GPS coordinates 57.83979, 11.91133 (or N 57° 50.387', E 11° 54.680'). 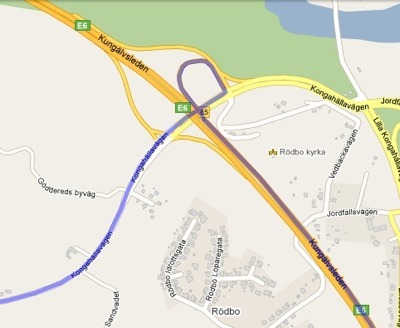 Take Freeway E6 from Gothenburg (E6 towards Oslo), and exit at Jordfallsmotet (Exit 85). 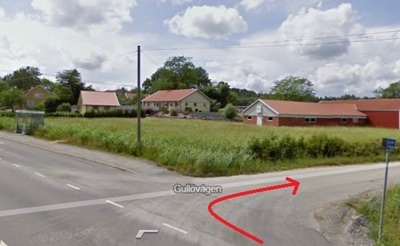 Take a right and follow the sign for Torslanda (on Kongahällavägen), make a right turn onto Gullövägen, then follow signs. Make a right at the intersection at Gullövägen.